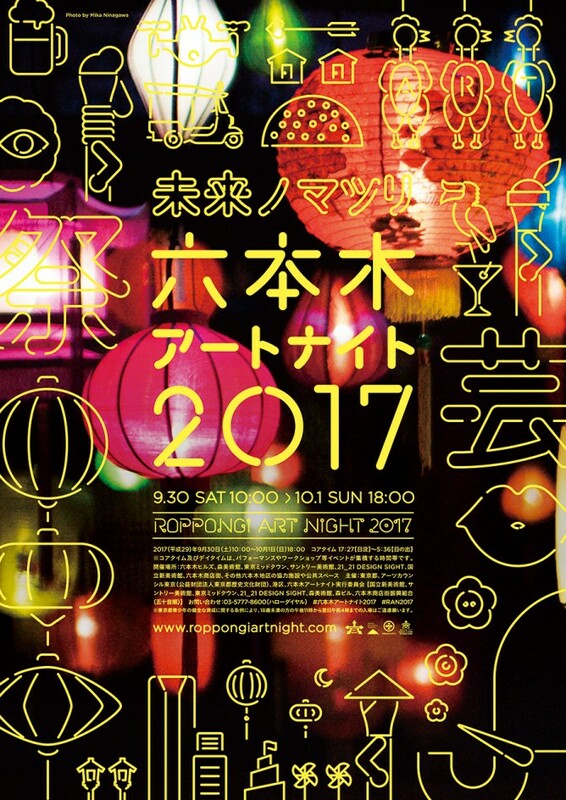 The Roppongi Art Night Executive Committee will be hosting Roppongi Art Night 2017 for 2 days on September 30 (Sat) and October 1 (Sun), 2017. This year’s Roppongi Art Night 2017 will be featuring art and performance from around the world, including many from Asia, proposing a new creative form of ‘matsuri (festival). Its theme is ‘Mirai no Matsuri’ (festivals of the future), and Roppongi Art Night is excited in welcoming Photographer and Film Director Mika Ninagawa as the main artist. In addition, Roppongi Art Night will be launching the ‘Southeast Asia Project’ in which artists from Southeast Asia as well as Japanese artists will work together with the Roppongi community and its people to create and present art. Roppongi Art Night is a one-night celebration of art staged in the district of Roppongi. The event proposes a pioneering model for urban development as well as a lifestyle that celebrates the enjoyment of art in our everyday lives. Presenting modern art, design, music, film, and performances, Roppongi Art Night offers a surreal, extraordinary experience. Launched in March 2009, the event is growing every year. *Core times is the period with the highest concentration of events with many performances and workshops held. Roppongi Hills, Mori Art Museum, Tokyo Midtown, Suntory Museum of Art, 21_21 DESIGN SIGHT, The National Art Center, Tokyo, Roppongi Shopping District, other cooperating facilities and public spaces in the Roppongi area.